Hello! My 2016 planner download was a big hit! I had no idea it would reach so many of you when I designed it! I want to thank so many of you for your persistent messages, comments and emails about if/when the 2017 planner would be available. These requests kept me inspired to keep the bar high for my 2017 planner. 2017 was designed with great honor and consideration, and I’m so excited that it’s finally ready to unveil. 2016 was a year when I shifted from winging it most of the time, to consistently writing things down, thinking ahead and being more strategic with my goals. I owe that progress to becoming a #planneraddict this past year. When I have a clean, serene, beautiful space to make sense of my daily chaos, it keeps me consistent with my planning. I really believe in this habit and I’m guessing you do too and that’s why you’re reading this. Not only do I believe in it, is also just makes me so happy. But the frustrating thing for me about the 2016 planner download was printing it. I had to order special thicker expensive paper so that I didn’t see the previous day through the back of the paper when I printed double-sided. And then there was figuring out how to print double-sided. And then there was buying this humungous hole puncher. And THEN there was finding the right binder. (I ended up DIYing this one.) All this planning prep was a drag, and I thought, if I’m this buy viagra no prescription frustrated, you must be too. I’ve made a lot of products, but this one… is my baby. When I ripped open the box of proofs and held this in my hands, I felt a huge wave of peacefulness, joy and gratitude. I’m certainly emotionally attached to the all products I make and sell. But making this planner was different. I think because I knew it would help you plan to live more purposefully, intentionally and incredibly. And that is pretty freaking cool. I’m accepting planner preorders through November 25th. If you order one by then, you’ll secure a planner to ship on December 12th. They will be available to order after November 25th, but shipping times may vary depending on inventory. 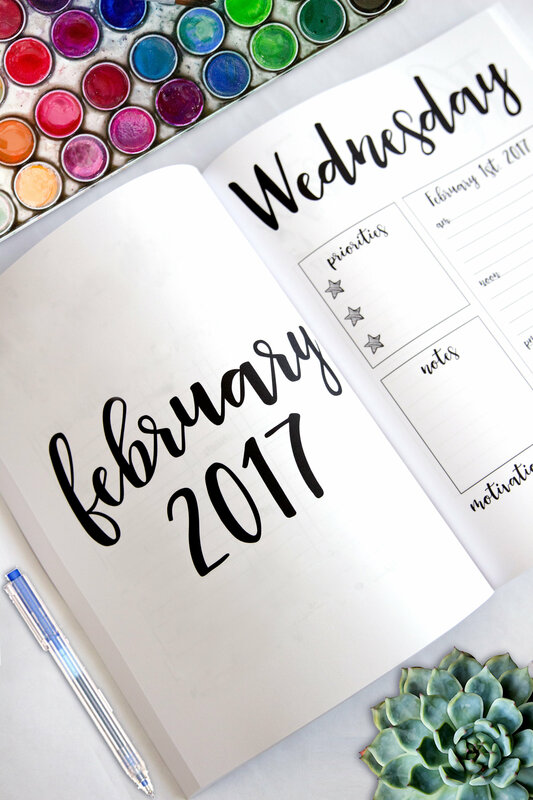 Stay tuned on my Instagram for news about a planner giveaway coming soon….Someone will win both the full and mini! Hi Sarah! I’m so excited your 2017 planner has come out! Question, are you going to offer it as a printable this year? HI Kerby, no it will only be available in printed form at eatsleepplan.com. Thanks! Unfortunately to get it here in Australia the postage is more than the planner. hi, I know, I’m sorry international shipping is so expensive because the planner itself is thick and heavy. If you try the mini planner, shipping is only $12.50 to Australia! Hi! This planner is gorgeous! Any change you will offer it in a spiral-bound book? What font did you use for the weekday titles? Will this planner be available to purchase for 2018? ?